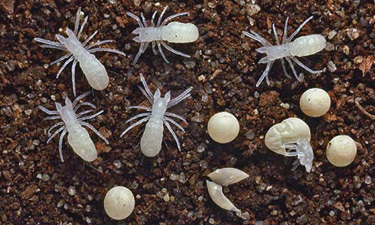 Top: Eggs and larvae of Eremobates sp. (Eremobatidae) (photo by Warren E. Savary). 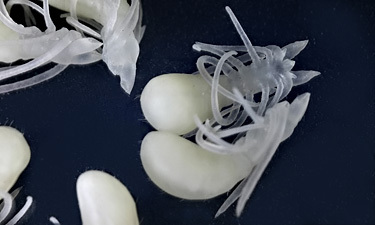 Bottom: larvae of Galeodes sp. (Galeodidae) (photo by Alexander V. Gromov).